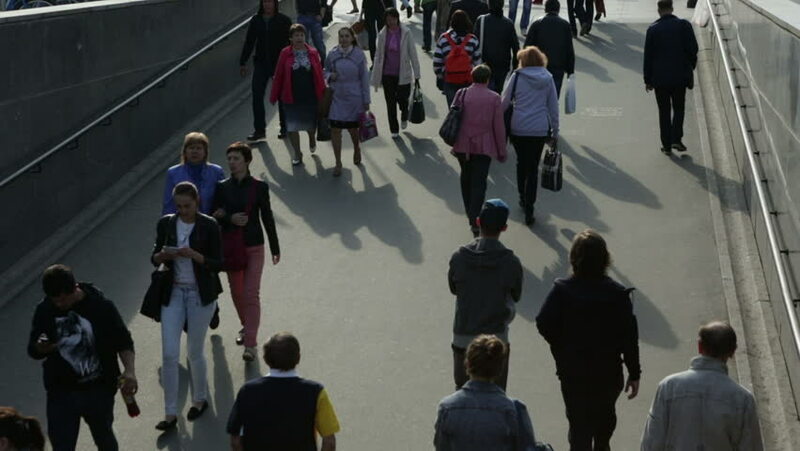 SAINT-PETERSBURG, RUSSIA, MAY 2015: Crowds on Crosswalk. Anonymous crowds walking on crosswalk, Full HD footage. Overhead shot, high angle. hd00:29BUCHAREST, ROMANIA - SEPTEMBER 25, 2015: Local young students and adults visiting an event called "The European Researchers' Night" in the mall AFI in the afternoon.